Time saved is money saved, productivity is key in any workplace. At Focus we understand the importance of meeting strict deadlines consistently. are a small part of what our software can offer you. With one click, saving you and your employees time. Now isn't that a relief? software is now HMRC MTD compliant. it is a necessity. Property management software no longer needs to be office based. your workplace, increasing productivity even further. 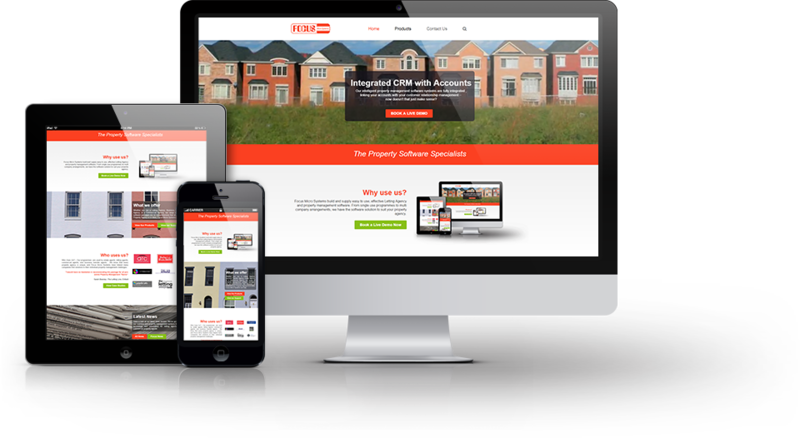 At Focus Micro Systems we want you to feel at home using our Property Management software. We provide trusted and consumer tested products with 4,500 installed users benefiting from our 34 years industry experience. Our software is designed and developed in house by our Oxford based close knit team. You are supported by Focus from the very start. Whether you run a Letting Agency, Business Transfer Agency, Estate Agency, or a Commercial Agency, our range of property management software packages are so comprehensive that wherever or whatever your Property Agency is or does, Focus Micro Systems can help. Who uses us? – The Focus Micro Systems software is used by a wide variety of customers. Estate Agents, Letting Agents, Commercial Agents, Business Transfer Agents and Chartered Surveyors all use our one click innovative products. Focus Micro Systems really is suitable for anyone that needs an all in one software solution. Our products have been developed to remove all the leg work out of often lengthy tasks and to help streamline them into one, user friendly package. Have a look at our latest news section. We’ve got features not only about our business and property management software but also about advancing technology and information for letting agents, estate agents, and commercial property agents.